Exercise and Pregnancy, here are some resources we've put together to help with your running and fitness during your pregnancy. Here are 10 tips to help you exercise safely and get the most out of it. What Exercises Are Good During Your Pregnancy? One great exercise you might like to try while you're pregnant is belly dancing. www.dare-to-give-birth-naturally.com/exercise-during-pregnancy.html -This site has some great tips on exercises during pregnancy and on how to belly dance. Some other great exercises to try when you're pregnant if your body wasn't already used to running when you got pregnant are power walking, pilates or yoga (they often have classes just for pregnant ladies), swimming and rebounding. If you are in need of some some extra support while you are exercising to hold your quickly growing belly in place, you might check out this pregnancy support belt. 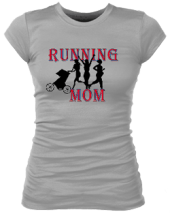 A lot of running moms really like it. 1) Helps combat morning sickness. I know some days you just want to curl in the bed, but getting out and moving around can actually help make the morning sickness more bareable if it doesn't take it away completely. 2) Helps you get in shape for the birth. You might think of the birth as a marathon and the pregnancy as training for a marathon. The better you train, the more equipped you'll be to handle the birth. 3) Exercise helps your baby grow into a happy, strong and intelligent person. Some studies show that exercise actually helps the organs, including the brain, develop. My child isn't reading Pruce or anything, but I'm convinced his happy disposition at two years old is due in part to all the running and walking I did while I was pregnant with him. One health issue that is common in pregnancy is back pain. If you are pregnant and feeling back pain, check out this website for tips on how to treat lower back pain during your pregnancy. Do you have a story you would like to tell about running or exercising while pregnant? Click here to share your story or read other running mom's stories about running during pregnancy and morning sickness. 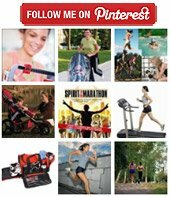 Have a question about exercise and pregnancy? Want to meet other moms like you? Check out the forums and join in on the disucsions or start your own. Thinking of Running a Marathon While You're Pregnant? She did it! Check out this interview with Crystal, who ran her first marathon when she was ten weeks pregnant.